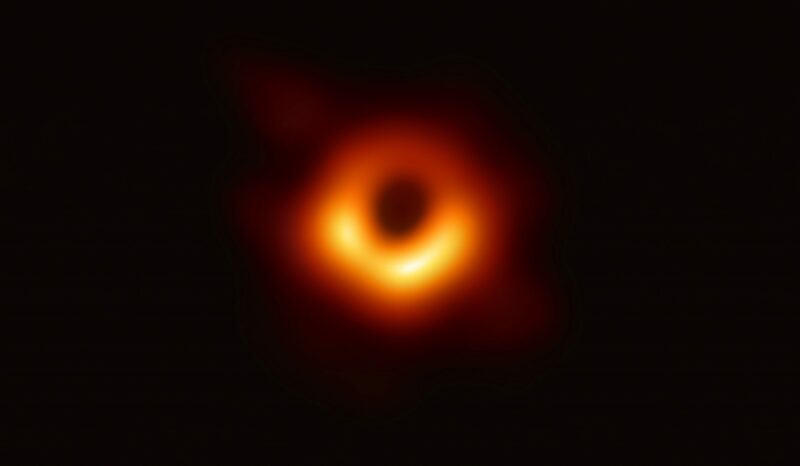 Below is a press release from the University of Chicago announcing an exciting new result from the Event Horizon Telescope (EHT), an array of radio telescopes located around the world. Included in that array is the South Pole Telescope (SPT), which is operated by a collaboration of more than 80 scientists and engineers from a group of universities and U.S. Department of Energy national laboratories, including three institutions in the Chicago area. These research organizations — the University of Chicago and the U.S. Department of Energy’s Fermi National Accelerator Laboratory and Argonne National Laboratory — worked together to build a new, ultrasensitive camera for the telescope, called SPT-3G, which contains 16,000 superconducting detectors. Exploiting the technical capability and expertise of its Silicon Detector Facility, Fermilab led the assembly of the detector modules and their integration into the SPT-3G camera, which was designed by Bradford Benson of Fermilab and the University of Chicago. On EHT, Fermilab scientists helped to design the EHT receiver interface and installation on the SPT and have supported EHT observations through their leading roles on SPT-3G survey and SPT telescope operations. Fermilab’s work on the South Pole Telescope is funded by the U.S. Department of Energy Office of Science. Black holes are extraordinary cosmic objects with enormous masses but extremely compact sizes. The presence of these objects affects their environment in extreme ways, warping space-time and superheating any surrounding material. 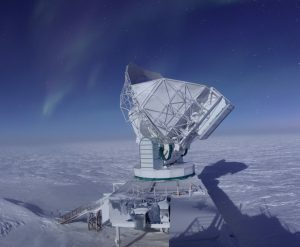 The EHT observations use a technique called very-long-baseline interferometry, which synchronizes eight telescope facilities around the world and exploits the rotation of our planet to form one huge, Earth-size telescope observing at a wavelength of 1.3 millimeters. This technique allows the EHT to achieve an angular resolution of 20 microarcseconds—enough to read a newspaper in New York from a sidewalk cafe in Paris. 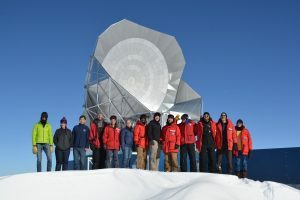 The South Pole Telescope collaboration is led by the University of Chicago and includes research groups at over a dozen institutions — including the UChicago-affiliated Argonne National Laboratory and Fermi National Accelerator Laboratory. Specialized EHT instrumentation was provided by the University of Arizona. 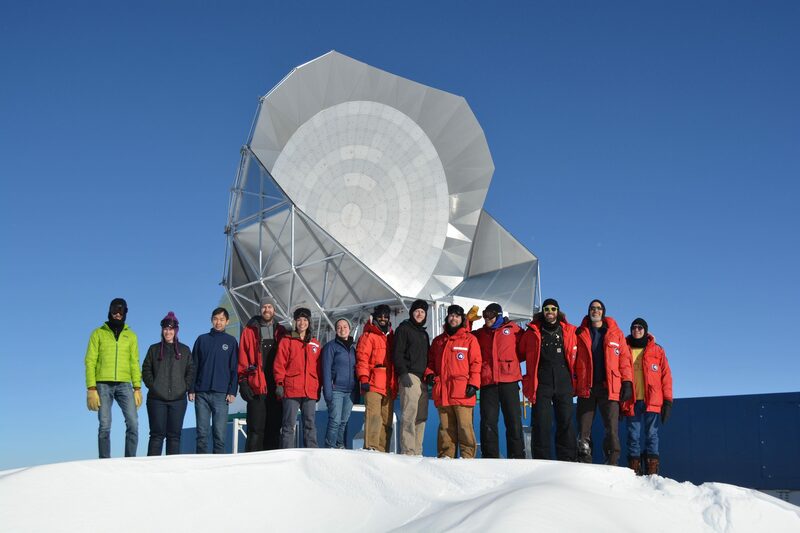 The participation of the South Pole Telescope in the EHT is funded primarily by the National Science Foundation. The National Science Foundation (NSF) is an independent federal agency that supports fundamental research and education across all fields of science and engineering. NSF funds reach all 50 states through grants to nearly 2,000 colleges, universities and other institutions. Each year, NSF receives more than 50,000 competitive proposals for funding and makes about 12,000 new funding awards.